Welcome to our Murrieta Real Estate and Murrieta home search page. We've designed this site to be as user friendly as possible. All available Murrieta homes for sale are pulled directly from the MLS so that you can see the homes currently for sale in Murrieta. Either do a custom search in the search box above, or simply click the icon to the right to see all the Murrieta Real Estate listings available. Murrieta is one of the best kept secrets in Southern California. It's located in Southwest Riverside County and is a small city with a population of just over 100,000. 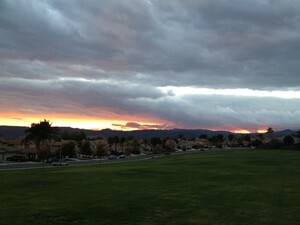 Murrieta has everything a big city has to offer without all the traffic and crowds. It is a great place to raise a family with distinguished schools, low crime rate and a great family atmosphere. There are many parks, movie theaters and other nearby attractions. There are three nearby hospitals including the brand new Loma Linda University Medical Center. Its an easy trip south to San Diego as well as west to Orange County and Los Angeles. The beach is a short 45 minute drive away. Many families live here and commute to work elsewhere. You'll be hard pressed to find a better value for your money than Murrieta and Temecula Real Estate. You'll find exclusive, guard gated luxury communities such as Greer Ranch and Bear Creek as well as areas like La Cresta that feature homes with lots starting at five acres on the Santa Rosa Plateau. With home prices still low and interest rates at or near record lows, it's hard to imagine a better buying opportunity than we have right now. Prices in the area and interest rates have already started to creep up, so don't delay if you're considering a purchase. If Murrieta is an area that you’re considering for your new home, we can help you find exactly what you’re looking for. Feel free to call or email with any questions you may have. We're here to help you gather all the information you need to help you find your new home!